How often have we experienced an episode in our lives that has touched us deeply, and thought, ‘I will never forget this’? But over time, the memory becomes like an old sepia photograph, the finer details foxed and faded. It is especially hard, I think, to recall raw emotions. And because these incidents are often life-changing, when we review them later, we see them from a different perspective. 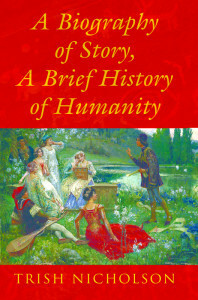 ‘How I remember it’ is the essence of personal memoir. Yet the insights we gain are greatly increased if we can also recapture our original feelings, recorded in a letter, diary or journal. I experienced this myself. As I lay in a remote health post in Papua New Guinea suffering acute malaria, it became clear that no one expected me to recover. From the brief scrawl I was able to write, I know that my emotions swung erratically between fear, gratitude for a life lived, and numb acceptance brought on by extreme fatigue. Each day I survived was like a new life. As we live each moment we seem gripped in a static reality, unable to see beyond our current loss, failure, or success. Encased in our ‘present’, it is easy to overlook that life is a flow of moments ever in transition. The subtle transformations that take place within us, and in the ways that others respond to us, are lost if they are not written down at the time. Keeping a journal can also be therapeutic. 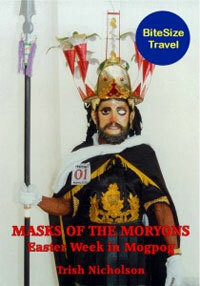 My Papua New Guinea journal grew to 600 pages over the 5 years I worked there. Letters to family and friends excluded events which might worry them, but everything went into my notes. 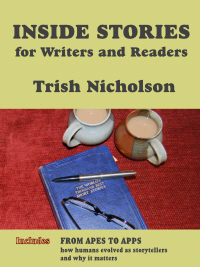 I wrote every day, relieving in the process the anger, joy, and sadness that mingled freely in those challenging days. But the greatest value of a journal emerged when I came to write Inside the Crocodile. 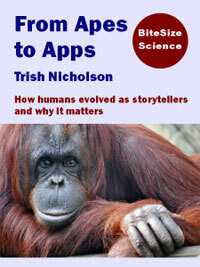 Memoir reveals experience through creative writing that draws the reader into the author’s life. The role of a well-kept journal in achieving this is to provide the fine details that stimulate readers’ senses and engage their emotions. Such details can also be used to generate a sense of time and place, for example, by indicating external events, or even what songs were popular, all of which add to a work’s authenticity. 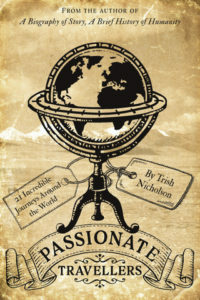 For travel memoir, a journal is essential to grasp the essence of places, people and events among the multitude of sensations we receive. After three months on leave, during which I had felt detached from my old life but unsettled in my new one, I returned with some uncertainty to the chaos of Papua New Guinea. But when I woke on that first morning back, all doubts had gone. 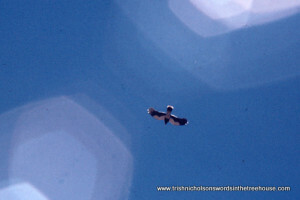 A hornbill plodding on the roof woke me. The sun was up; warm, moist air wafting in between the open louvres smelled of green, of prolific vegetation teeming with life, and my skin was slick with sweat. With a sleepy smile that became a long yawn, I recognised the familiar sounds, scents and sensations of home in Vanimo. I had recorded enough dialogue in the journal that I could let readers hear the voices of people I interacted with, such as the friend in Vanimo who struggled bravely to survive marriage with a violent husband. I received a message that she was in the hospital and went down to see her. The maternity ward was basic, providing only metal bedsteads with bare boards; patients brought their own bedding which was probably more hygienic anyway. Chrissie had lost her baby, born premature and tiny. “Nogat. Mi orait,” and she asked me to take her home. Outside the mission house, his cropped white hair vivid against tanned skin, a short, elderly man stood watching my approach through startlingly blue eyes. Despite his crumpled shirt and obviously home-made, flared canvas trousers – purple cloth sewn with long stitches in thick white thread – there was something venerable about him, an aura of other-worldliness. He turned out to be a Polish priest who had been in Papua New Guinea for over forty years and lived on green mangoes and dried coconut – monsoon rains stranded me there for a week, much to his consternation and my hunger. As I got close to the truck, she saw me, her paws up at the partly opened window, scratching at the glass, and when I opened the door she tumbled out in a tizzy of wriggles and wags, weaving round my legs, sniffing and licking my hands. 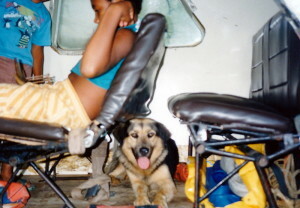 Riding back to Jim’s for lunch, she sat between my feet in the front, gazing up at me, her tongue lolling with the heat, dripping saliva onto my toes. It is never too late to begin a journal. For example, if you have already begun your memoir, you could record your feelings each day as you research and relive episodes of your life. Such reflections on the process could yield a fascinating prologue or epilogue to your manuscript. 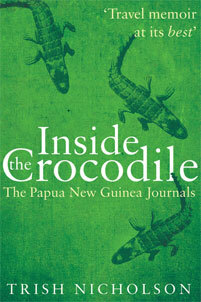 Inside the Crocodile: The Papua New Guinea Journals is also available as an ebook from your favourite digital supplier. 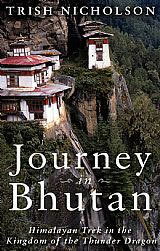 If you are especially interested in travel journals and travel writing, you will enjoy Journey in Bhutan: Himalayan Trek in the Kingdom of the Thunder Dragon (ebook only). 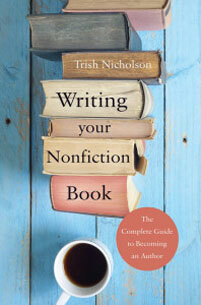 And if you are thinking of writing a memoir, travelogue, family history, biography, self-help or any narrative non-fiction, you will find a complete guide to planning, researching, writing, publishing and marketing your book in: Writing Your Nonfiction Book: The Complete Guide to Becoming an Author (Also available as an ebook on all major retail sites). I’ve never kept a journal for long, Trish. I wish I had now, but I do have the ones I have done and they help tremendously. I’m enjoying Inside the Crocodile very much and it’s very clear you’ve kept a journal from the detail with which you write! I keep a journal Trish. Got myself a Moleskin notebook, I love the look and feel of it. I don’t write in it every day but, after reading your great post, I’ll try harder. That was a brilliant idea, George. You don’t have to write in it every day, but it’s good to get into the habit of noting observations and feelings that are important to you, so they don’t slip away among all the routine stuff of life.